After leaving Beppu, we drove up and down mountains to reach Yufuin. We stopped by Yufuin on our way back to Yawatahama for a quick visit so our relatives could show us more of Kyushu. While in Yufuin, we stopped by Kamenoi Bessou (亀の井別荘) a ryokan (inn) that included hot springs, a wonderful souvenir shop, and a restaurant space upstairs that was a cafe during the day and a bar after 7pm, called Tenjosajiki Cafe and transforming into Yamaneko (山猫) at night. 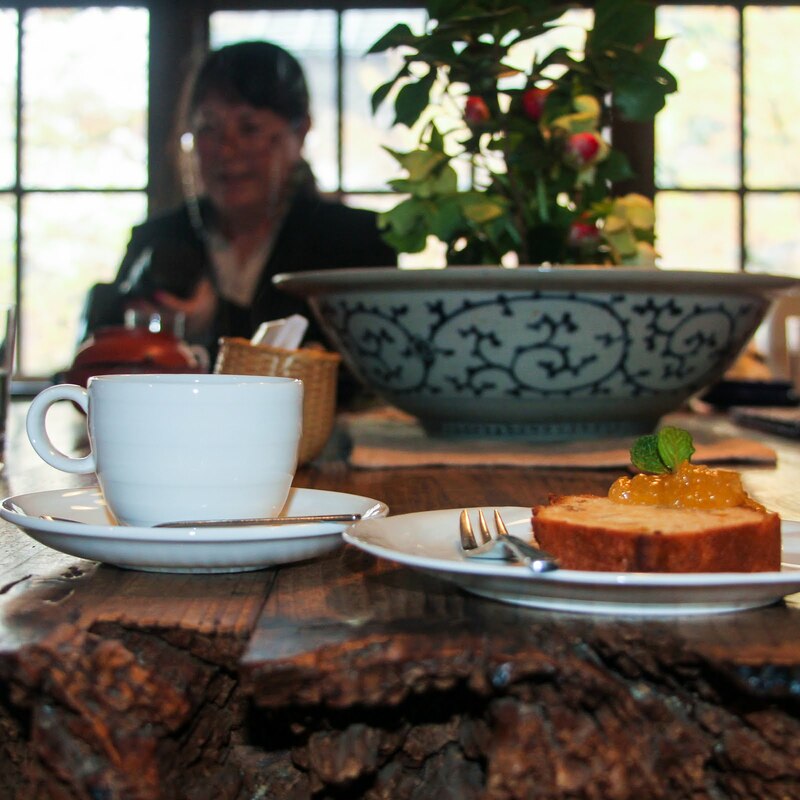 We picked up some citrus jam from the ryokan shop and ate it with toast all throughout our trip. It was less like a kitschy American souvenir shop and more like a luxury specialty shop that focused exclusively on regional and seasonal items. I loved browsing through there! And stepping outside to take in the greenery surrounding this ryokan was magical: the mists swirled around lush greenery, cherry blossoms, and leafy trees. For a Southern California resident used to nothing but drought, it was truly like being transported to a magical forest. I'm pretty sure I could have spent my entire trip at this ryokan: it was luxurious, close to Lake Kinriko, included two restaurants, and the grounds around it were peaceful and full of wildlife. After a quick tour of the ryokan, however, we settled down for a quick snack at Tenjosajiki before continuing on our way. The restaurant space was very cozy, with the tables set up so that diners could eat while enjoying the view from the windows. Our table was bathed in light from the windows, surrounded by vintage records on the walls, and featured cozy chairs to relax in. I'm pretty sure I could read a book, drink coffee or tea, and hang out in that cafe for days. 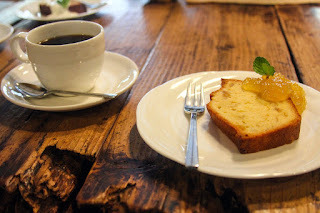 The coffee and citron pound cake were delicious! 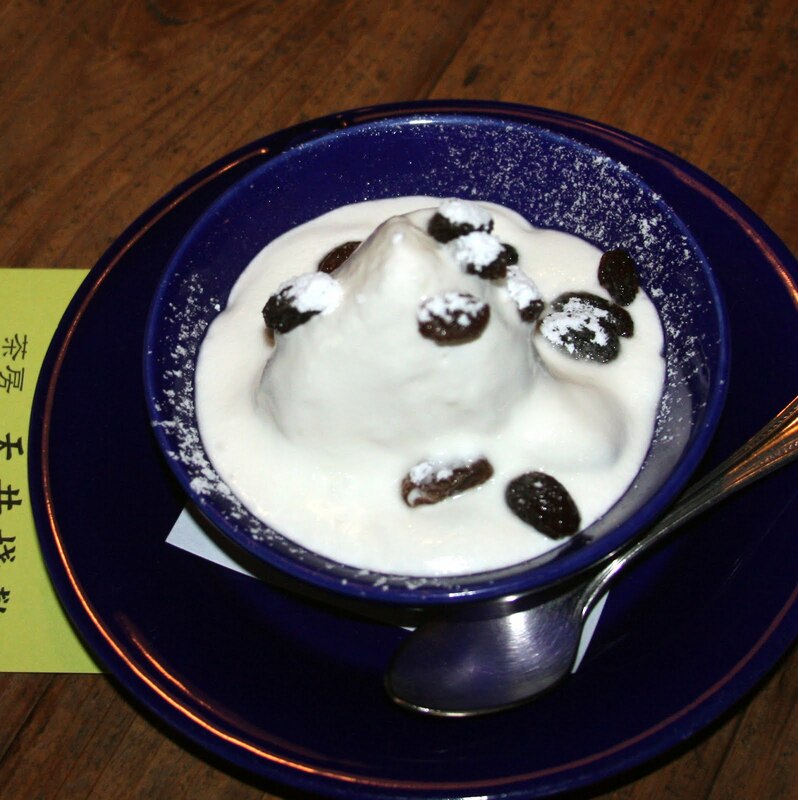 Their signature dessert shown below, called the Mon Yufu (Mt. 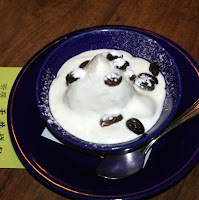 Yufu is a volcanic mountain that sits between Beppu and Yufu and provides a great view of Yufu), is a confection of cream cheese, sugar, and rum soaked raisins shaped like the mountain that my mother tried and declared absolutely delicious. Unfortunately we didn't get the best photo of it as we were too eager to dig in. 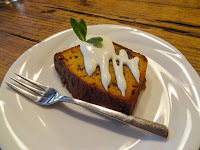 My brother and I shared the citron pound cake as well as the plum pound cake with cups of their house blend coffee. I don't think I can ever eat American supermarket pound cake again. 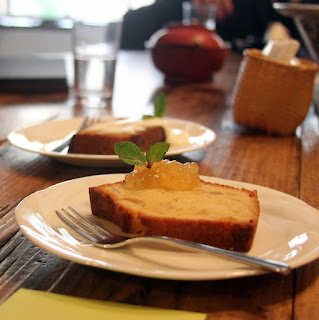 It just wouldn't be fair to judge it against the pound cake at Tenjosajiki. These were smooth, buttery, not too sweet, and struck the right balance between indulgent and satisfying. Both the plum and citron provided the acidity needed to keep the pound cake from becoming too rich. 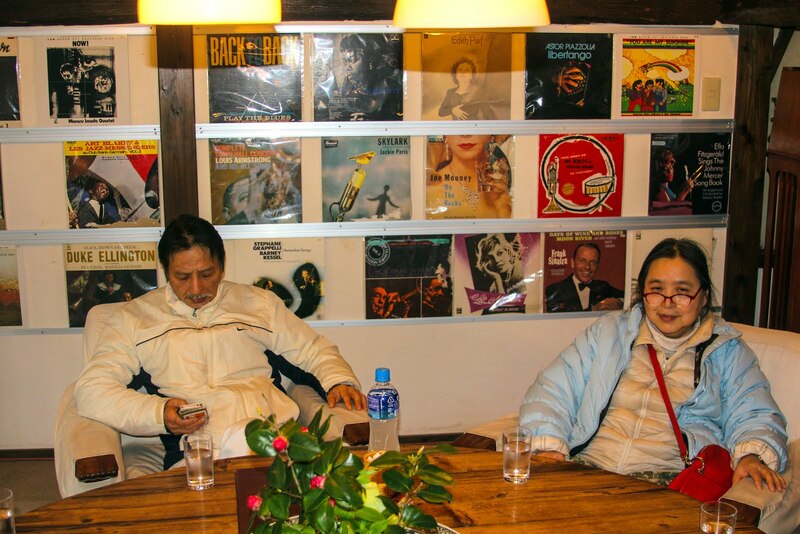 I would totally honeymoon exclusively at Kamenoi Bessou and spend every day at Tenjosajiki, cup in one hand, book in another, a fork and plate not far away. I might come back 10lbs heavier however. Adventures in Japan: Beppu and Yufuin!